Maroochydore Rotary Park is located alongside the water on The Esplanade at Cotton Tree, on the Sunshine Coast. 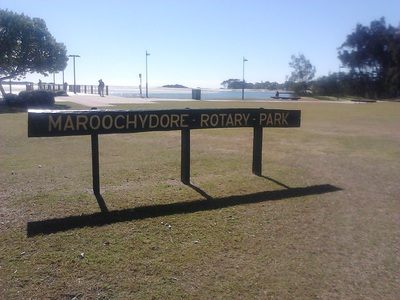 With so many attractions surrounding the park, you can make a day or weekend out of this trip - there is something for everybody at the Maroochydore Rotary Park. 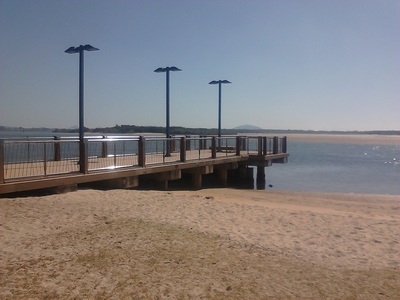 The lookout at Maroochydore Rotary Park. Maroochydore Rotary Park contains barbecue facilities and a ton of games at the kid's playground for you and your family to enjoy. They also have a Liberty Swing for people who are young at heart and are in a wheelchair, no matter how old you are you can enjoy this fantastic swing organised by the Variety Liberty Swing Program. To gain access to the Liberty Swing, you need a key. 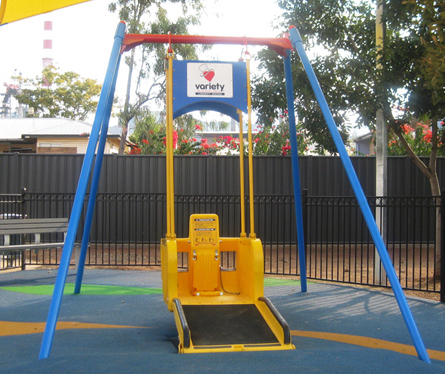 For more information about the Liberty Swing, you can visit their website by clicking here or to obtain a key to the Liberty Swing in Maroochydore Rotary Park, you can visit the Maroochydore Library at 42 Sixth Avenue, Cotton Tree from Monday-Saturday, 9am - 5pm. 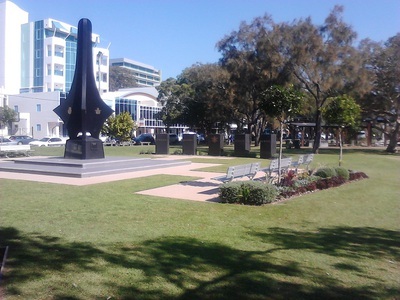 The park also contains a memorial for people who have served in the war separate plaques have been designated for courage, mateship, loyalty and sacrifice. If you love to swim the Cotton Tree Aquatic Centre boasts a heated pool in those winter months and is located directly next to the park. The centre has a water park suitable for all ages and is reasonably priced for the whole family. For more information, check out their website by clicking here. The popular Cotton Tree Holiday Park is located next to the pool right on the beach, why not come for the weekend and bring your fishing rods and catch a few fish to throw on the barbie, to book accommodation you can visit their website by clicking here. 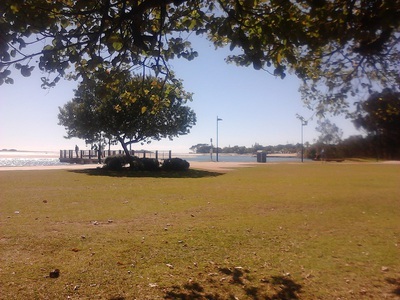 Cotton Tree Holiday Park is located just across from the Maroochydore Rotary Park. There are several Cotton Tree cafes located along The Esplanade so you are only a jump, skip and a hop away from enjoying some delicious options for breakfast, lunch or dinner. Every Sunday the Cotton Tree markets are open at 7am-12 midday located on King Street just off The Esplanade. You will find a range of local arts, crafts and much more, for more information visit the Sunshine Coast community website by clicking here. Cotton Tree Markets located on King Street.